Installing window shutters is one of the easiest ways to add charm and light control to window settings and living spaces. There are simple DIY window shutter guides that can help you during the process. Before you begin, make sure that you have a Phillips screwdriver, small hammer, drill, spirit level and fixings for your window type, such as a rawl plug. Also, make sure that you place the materials you need beside each relevant window if you are installing several shutters. You can now start assembling the shutter frame, so connect the top, bottom, left and right sides using plastic Hoffmann keys in bowtie-shaped hole forms. To fix your shutter frame into position, lift and mount it appropriately depending on whether the window has outside or inside mount frame holes. Make sure the frame is fitted level by using a spirit level, and then screw both the left and right sides above the hinge before inserting another screw at the top to secure it. The next stage involves hanging your panels, so ensure that you are using the correct panels in each location. Panels are generally supplied pre-hinged, so place one part on the frame and the other on the edge and connect using a pin. Repeat this process until they are all attached, and then add a final hinge screw to lock them in place. You can now secure the shutters with the remaining screws and cover strips. Sliding shelves are great for additional storage in the kitchen as they can house all your utensils, pots and pans in a relatively small space, and it is a relatively simple process to complete. Begin by measuring the cabinet; you may need only about six inches for a sliding pantry, and it could be fitted near a refrigerator. 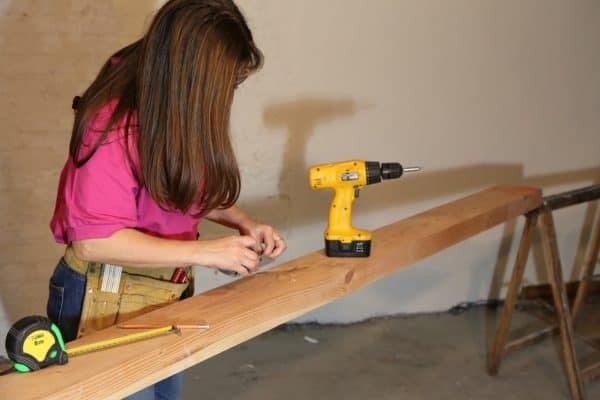 The tools for this job are more extensive, but for a quick and simple job, you should only need a saw, screwdriver and ruler. To build, fix two pieces of plywood to a bottom sector by drilling holes and using screws. Add the front to the drawer using a similar method. You can now sand down the shelf using a tack cloth and apply a spray lacquer finish. The final important addition is the slides. Fasten the slides by ensuring that they are flush with the front of the shelf, then attach the rails with screws. You will also need to install two sliding rails in the small cabinet space to complete the project. Hiding unsightly wall fixtures such as alarms and electric cables can brighten the home. A great way to do this is to hang mirrors or art above the fixtures. You could also organise any messy cables behind the TV by using colourful wire clips in place of archaic white fittings. This can be extended to frame switch covers. Adding wallpaper, moulding framing or stencilling to a light switch is a simple upgrade, and you can match it to your décor for greater effect.